Jaysus it's about time I got cracking on a new post for MotorSpeak. I've been busy beating off the recession with a short stick trying to get a job and alas I succeeded. Good thing: money. Bad thing: less time to ponder on those little car things that make you go "oh yeah...". 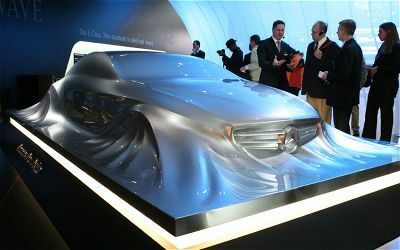 For example; I misssed all the hubub at this year's Paris motorshow. Basically les bleus put on a gig that would make Bono curious. Highs? Crazy carbon Lamborghini Gallardo (in other words it's due to be replaced very shortly so let's distract the public with this for now). Jaguar reportedly "stole" the show with it's CX75 hybrid concept which is really a load of hot air and pointless. Then there was the usual drub of french micro cars that nobody really cares about; Peugeot 508 anybody? NO! Audi did a retro version of it's iconic Quattro rally car but it looks like it will be the strict preserve of grown up losers who got rich. 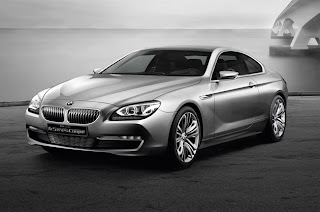 On the plus the latest BMW 6-series was unveiled. Now I know I'm always harping on about BMW's but its because 9 times out of 10 they do it right. And with the 6 series they usually have a future classic on their hands. So it was with mild disappointment that it had lost a little of it's daring Bangle style and character. But then again these things age like wine, I didn't really like the last 6-series at first either. Alright so what else have I missed? Lotus have gone ballistic and scrapped not only it's entire range but it's entire ethos. Out goes the concept of "adding lightness" and in comes a soft anonymous line of silhouettes; time will tell. 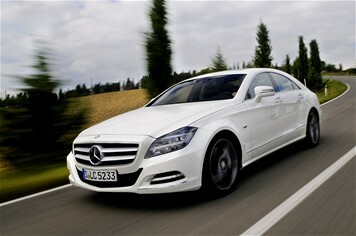 Oh yeah, Mercedes brought in the 2nd gen CLS. Now the first one was sweet. End of ok? So the second one has a lot to live up to. If it had gone for the original style language with full vigour (see pic) it would've looked great but in production form all the panel gaps ruins the purity of it all which end up making it look like a big bulky mess. I'd still buy one though. Right, enough for now, check out the Jap Gp in the morning it's always good.